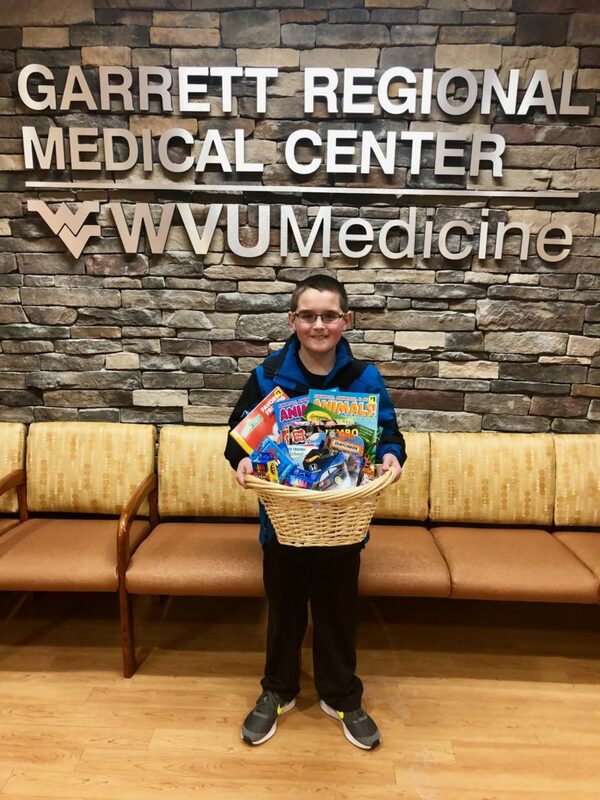 Lucas Moore, a fourth-grader at Yough Glades Elementary School, asked his friends and family to donate items for Garrett Regional Medical Center patients and visitors in lieu of gifts for his tenth birthday. He generously delivered toys, games and puzzles to the hospital. During his visit, he helped the subacute team members select items for their long-term care patients. GRMC is very thankful for his donation and his contribution to bringing smiles to hospital patients and visitors. Lucas Moore is the son of Beau and Maggie Moore of Oakland, Md.